Will the sky fall in on Sepp Blatter, much reviled president of FIFA, just because Coca-Cola and Adidas, Visa and Emirates Airline – 4 of football’s 6 biggest sponsors – have fired a shot across his bows? Will the English and Scottish football associations’ vociferous appeals for a postponement to FIFA’s presidential election – which currently leaves Blatter dribbling up to an open goal – make an iota of difference? No and no. The contest between FIFA and its critics is asymmetrical precisely because, unlike Coca-Cola and its fellow sponsors, FIFA is not a brand. It is not vulnerable, in the first degree, to public criticism – however merited or angry that criticism may be. Indeed, as Matthew Patten recently pointed out, FIFA resembles nothing so much as a medieval guild. It owes allegiance to no one other than the 208 merchant adventurers who make up its membership. Nothing, culturally speaking, could be more removed from the modern corporation. There is no transparency in its business dealings, because the daylight of accountability is not an element in its constitution. The anonymous men in blazers ply their trade in a way that is endemic to all closed mercantile organisations: through mutual back-slapping, nepotism and, let’s face it, financially lubricated manila envelopes – if they think can get away with it. And lording it over them are the merchant prince oligarchs: men (they are always men) like Sepp Blatter and Mohamed Bin Hamman. FIFA is part of a pattern which, if not peculiar to the administration of world sport, is certainly highly characteristic of it. Remember the cleansing of the Augean Stables at the International Olympic Committee (IOC), after the corruption scandal that was the Salt Lake City Winter Olympics bid came to light in 1998? That was a relatively benign outcome. Less satisfactory have been the consequences of the more recent shenanigans at Formula One. Despite the engulfing stench of scandal, and the twittering of vocal criticism, its twin ringmasters Max Mosley and Bernie Ecclestone managed to protect the integrity of their power base. Admittedly Mosley eventually went, but it was at a time of his own choosing and on his own terms. Ecclestone, meanwhile, continues to crack the whip without let or hindrance. He is currently said to be negotiating an exit deal with Rupert Murdoch. Blatter, a man who once fronted an organisation dedicated to stopping women exchanging their suspender belts for pantyhoses, is more likely to draw his inspiration from Mosley than the aftermath of the Salt Lake City scandal. He will brazen the “crisis” out. And there is little, in the last analysis, the sponsors can or will do about it. On the surface, that might seem a strange thing to say. After all, they are bankers to the organisation and provide its marketing pot. Each contributes between £100m and £300m to a FIFA revenue estimated at £2.4bn in the 4 years up to and including World Cup 2010. Surely that gives them more clout than most stakeholders in the struggle to wring reform from the World Cup organiser? Only up to a point. Let’s not forget that FIFA is less dependent upon sponsors these days to the extent that it can dip into billions of dollars worth of syndicated worldwide TV rights. Moreover, rather than presenting themselves as a united front, the sponsors perceive themselves as embattled and vulnerable competitors (rather like the constructors in the F1 equation). 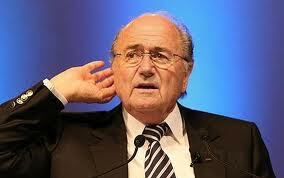 Blatter, like Ecclestone, is a supreme tactician in exploiting such weaknesses. There’s always someone else, he will say, to take their place if they don’t want to play ball. A Pepsi for a Coke, a Nike for an Adidas, a Delta for an Emirates, a Mastercard for a Visa. And do you know what? He’s right. The only chance the sponsors have of effecting change is if they stand united. My suggestion is not that they threaten to defect, merely that they withhold some of their funding until tangible reforms, prime among them greater transparency and accountability, are in place. On what spurious legal grounds has Sir Fred Goodwin persuaded some mentally bewildered British judge that he may no longer be referred to as a banker? We may not know, we may not even discuss: such is the all-encompassing gagging power of the superinjunction. Some say that The News of the World was about to blow the gaffe on his private life. If so, I am greatly surprised that the former financial shredder has a private life worth dissecting, given his celebrated 24/7 dedication to work. I can only imagine that mere sight of the word “banker” attached to his name in the newspapers is enough to provoke a trauma so profound and inconsolable among other members of his family that it may be deemed an invasion of their privacy. However, I digress. Little remarked so far is Sir Fred’s stupendous contribution to legal history. He is the first non-celebrity (excluding Trafigura, a corporate entity – albeit one of surprising sentience) to be granted such an injunction, which opens the floodgates to all sorts of hitherto unexplored avenues of advantage – some conceivably relevant to the marketing community. Typically, a superinjunction comes about when a celeb of apparently unimpeachable public deportment (such as Tiger Woods) finds his or her reputation is about to be besmirched by irresponsible journalistic muckracking. The potentially ruinous effect of publication upon sponsorship earnings, combined with the anticipated hurt felt by the celeb’s family on reading the exposé, is often enough to persuade tender-minded judges – Mr Justice Eady prime among them – that the celeb’s inalienable Human Right to privacy is indeed being infringed. Thanks to Sir Fred, the superinjunction contagion may now spread to all sorts of other commercial activity. Max Mosley could perhaps insist that the word “debauchery” be expunged from any description of his private activities over the past few years, for fear of damaging the reputation of Formula One. 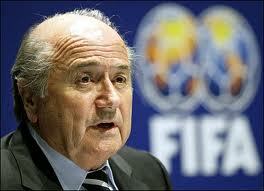 Likewise, F1 ringmaster Bernie Ecclestone might exercise a veto over the word “Hitler”. But these are mere legal foothills, considering the potential for indemnifying careers against all-time marketing disasters. Imagine how useful a bit of UK juridical tourism might have been to the Ford family if the superinjunction had existed back in 1958, as the Edsel disaster began to shape up. And Niall Fitzgerald might have been counting his superinjunction blessings in 1995, when he presided over the introduction of Persil Power. Instead of which, he had to engage in a long and painful public relations battle to rescue his company’s reputation (and his own). Absurd extrapolation? 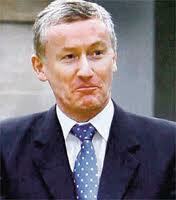 Well, no more than not being able to call the architect of the RBS/ABN Amro deal a banker. PS. Are we still allowed to refer to Fred as “Sir”? I understand he was knighted in 2004 for “services to banking”. Bernie Ecclestone’s uncritical outburst of fuhrer-worship will bring down his own autocratic regime at F1, no doubt about it. The question is when. Ecclestone, whatever his awesome reputation, is only a minority shareholder in Delta Topco, the company which ultimately owns F1’s commercial rights. The majority shareholder is CVC Capital, with about 70%. Although Ecclestone was able to haul CVC chief executive Donald MacKenzie to the phone for a vigorous denial that he was about to get the heave-ho, all is not what it seems. CVC has had enough with the way FIA president Max Mosley and Ecclestone have been running things or, as they see it, running things into the ground. Mosley’s intransigence over reform of the rules recently led to a mutiny by eight of the racing teams – representing all the powerful motor manufacturers – and the threat of a breakaway championship under the Fota moniker. No one really wants a breakaway, including the teams. It would mean diminished income all round, especially in the key areas of TV rights and sponsorship. But CVC has more to fear than most: a breakaway would either destroy or severely impair its multi-billion pound investment in the sport. So it is keen to appease the teams, who now find themselves in a powerful bargaining position. On the board of the Formula One holding company are two prominent Jewish businessmen, Peter Brabeck, former head of Nestlé, and Sir Martin Sorrell, ceo of WPP – both Delta Topco investors in their own right. It scarcely requires me to articulate their thoughts on Ecclestone and his continued tenure. The question is, who could replace him? No easy answer comes to mind. Not, for example, the flamboyant Flavio Briatore – head of the Renault team and close confederate of Bernie (both, among other things, have a major stake in football club QPR). The other teams simply wouldn’t wear it. Nevertheless, a replacement looks likely by the end of the year. It’s a gripping Mexican stand-off in which Ecclestone has yet to fire his last shot. We might ask, while all this unseemly wrangling is going on, what of the sport, what of the brand, what of the sponsors? More in my magazine column this week. If you’d asked me – up to now – which of the Domineering Duo at Formula One is a Germanophile, I would have answered unhesitatingly, “Max Mosley”. It stood to reason, didn’t it? Both parents Teuton-crazy, went to school in Germany long enough to be fluent; even carries out his sexual perversions in the language. But it turns out I’m wrong: they both are. Mosley’s long-term collaborator Bernie Ecclestone is evidently a passionate student of German history, if a frank interview with The Times is anything to go by. Bernie takes a pride in not being seen as politically correct, and refreshes our memory every now and then with his unconventional views on women, colour and naughty racing teamsters who tell lies and steal. But he has so far kept his views on the course of German history carefully under wraps. No doubt because he fears his findings are so explosive that if they got into the wrong hands they would cause appalling mayhem. But, I digress on his behalf. Things went a bit haywire after 1939. Inexplicably, Hitler became a hopeless victim of invasion complex, causing him to trample roughshod all over Europe. And then there was this holocaust thing. That was a bit of a mistake, wasn’t it? Why Ecclestone, 78, chose to privilege us with his views on political governance only now is a matter of speculation, but there are several possibilities. One is that The Times reporters are highly persuasive and Ecclestone has been very gullible. I don’t think so. More likely, this is a two-fingered salute to the establishment. A reminder that Formula One cannot do without him, in case any of us is deluded into thinking he might follow Max off-track. Ecclestone says he is no great planner of events. But he is a consummate bluffer. Let’s see if anyone – from the Formula One holding company majority shareholders CVC to the sponsors and constructors – has the guts to do anything about what, by any standards, is an act of extreme provocation.